Sara Blumenthal spoke to Yangsi Rinpoche, director of Maitripa Institute (a Buddhist university-in-the-making affiliated with FPMT and located in Portland, Oregon) who is the recognized reincarnation of Geshe Ngawang Gendun and a qualified geshe, about the situation in Tibet. Sara Blumenthal: From your side, what’s your sense of things right now? 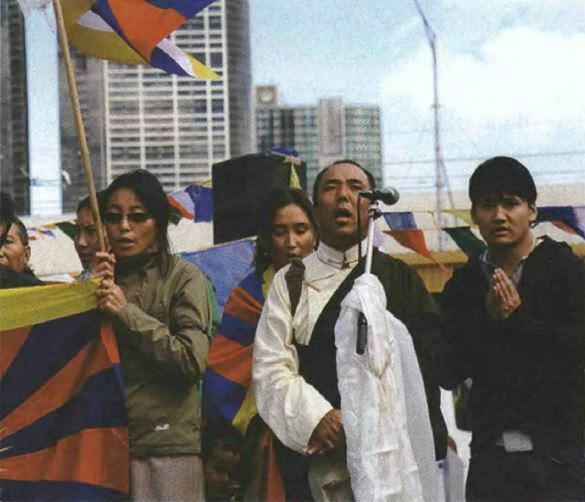 Yangsi Rinpoche: When I heard that the Tibetans’ frustrations have led to some kind of conflict with ethnic thought that is really unfortunate. But I also understand why they get so frustrated. Where can they turn, when they’re pushed from all corners? At the same time we Tibetans need to live side by side with the Chinese. There are just regular Chinese in trouble. I think that this is very sad. Generally speaking, all karmic action creates repercussion. I wish and I hope it will end there. The media is really paying attention to the immediate situation. After the Olympics, however, the violence from the Chinese authorities may start again. The world will go on to different issues, looking towards the U.S. presidential elections, etc. As Tibetans, we need to look ahead to the aftermath of the Olympics when the Chinese may say, “OK, now nobody’s looking. We close doors.” As an individual Tibetan, I’m really hoping and praying that n violence will happen towards Tibetans or anybody, Chinese included, in the aftermath of the Olympics. When there’s no voice, when there’s no attention, people can do whatever they want. And the Chinese won’t need to fear anything if there is no international pressure left. So that’s one main concern for me. His Holiness the Dalai Lama is sending a strong message of non-violence; everybody may be trying to maintain nonviolence, and the Chinese may be trying to behave better. That would still be my hope for Tibet. And of course, the Tibetan government wants that to happen.